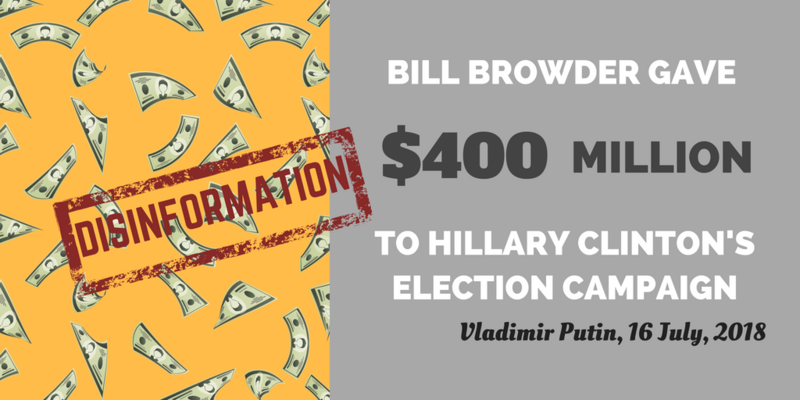 Last week, a series of articles was published in the U.S. media relating to a $400-million donation allegedly made by U.S.-born financier Bill Browder to Hillary Clinton’s 2016 election campaign. The figure was quoted by Russian President Vladimir Putin himself at a news conference on 16 July following his meeting with Donald Trump in Helsinki. He claimed that Browder’s hedge fund stole the money from Russia through tax evasion. The Kremlin had “solid reason” to believe U.S. intelligence officers had “guided these transactions,” according to the Russian President, and he offered U.S. investigators to question 12 Russian intelligence officers charged with hacking Democratic computer networks during the U.S. election in exchange for Washington handing Browder over to Russian investigators. The story appeared in leading U.S. publications including The New York Times, The Atlantic, Time magazine, and Newsweek, which all quoted Browder as rejecting the claim and insisting he had never made any political donation to Hillary Clinton or any other political candidate. Browder, a vocal critic of Putin, himself penned an editorial in Time calling the allegation “ludicrous” and accusing the Russian government of seeking revenge for his crusade against corrupt Russian officials. The $400-million figure was also relayed by well-known U.S. conspiracy news site Infowars — this time without Browder’s rebuttal. Instead, Infowars accused Hillary Clinton of being backed by a “Deep State” that allegedly sought to thwart Trump’s election. The article was republished in several other conspiracy websites. 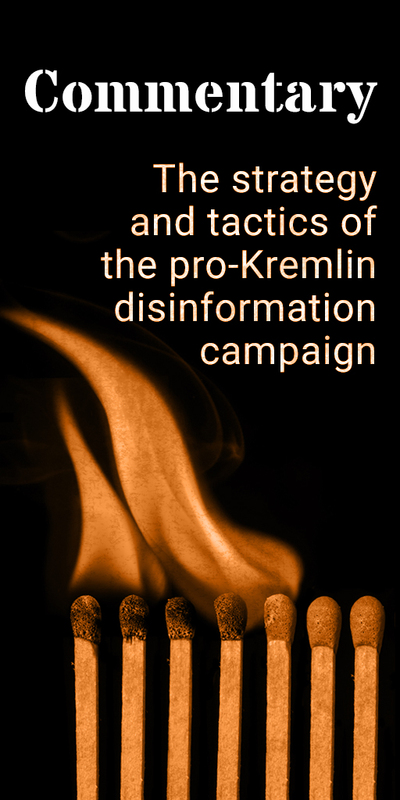 What Infowars also failed to mention is that one day after the Helsinki news conference, the Russian Prosecutor-General’s office – which is probing Browder for fraud — issued a statement saying it had been asked to correct the figure from $400 million to $400,000 – a sum Browder still denies donating to the Clinton campaign. Browder, who is based in London and now holds British citizenship, has been in the Kremlin’s crosshairs for years. The CEO of Hermitage Capital, once the largest investment firm in Russia, fell afoul of the Russian government in 2005 after exposing the details of a vast $230-million corruption scheme involving many high-ranking Russian officials. Browder was subsequently deported from Russia as a threat to national security and his investment companies were seized. While investigating the corruption scheme, Hermitage Capital’s tax lawyer Sergei Magnitsky was detained and imprisoned. He died in prison in 2009, at the age of 37, after what Browder says was torture and ill-treatment in detention. Browder spearheaded the Magnitsky Act, which imposed U.S. sanctions on Russian officials held responsible for the lawyer’s death. 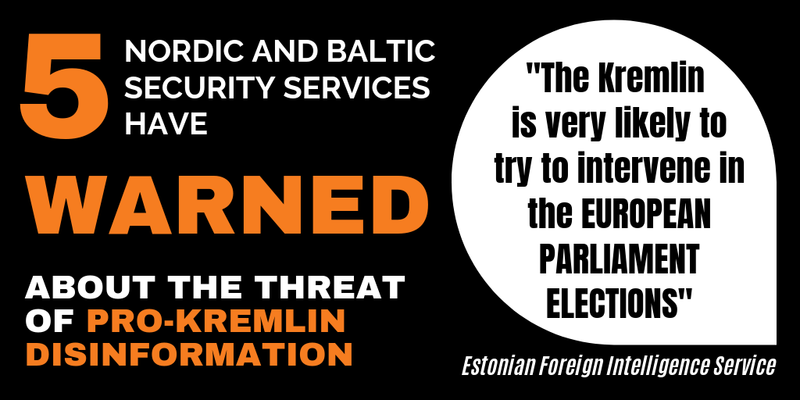 Other countries including Britain, Estonia, Lithuania, Latvia, and Canada, have since adopted similar legislation.